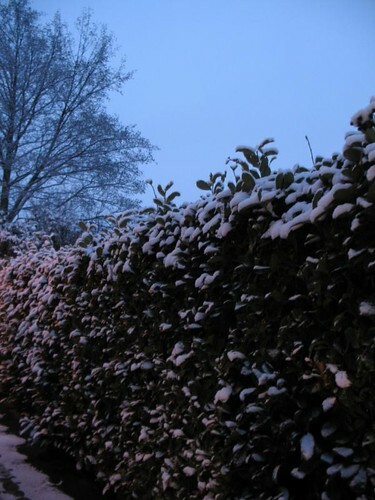 This photo of the hedge outside our flat is from January 2007 but it could just as well have been from last week. We had our first snow a few days ago - not enough to prevent us from going to work or carrying on with life as usual, but enough to be a topic of conversation. Although it is still too soon to tell, it would be nice to have a white xmas.